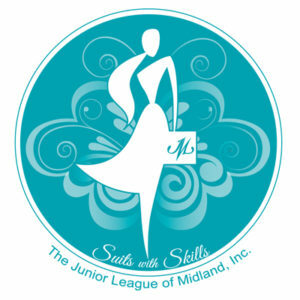 Suits With Skills was created by the Junior League of Midland as a job-skills mentoring program for female survivors of domestic abuse. This program is designed to help participants break free from repression to lead self-sufficient and healthy lives. Suits With Skills is a JLM-partnership with Safe Place of the Permian Basin and Buckner Children and Family Services. At weekly workshops, trained Junior League members teach skills related to the workplace, including how to build a resume, basic interview skills, and how to display a professional appearance in the workplace. The program ends with a shopping trip for work-appropriate attire.